Cindy is more than a statistic. She’s a loving daughter who does everything in her power to care for an elderly mother. Still, Cindy is among the one in seven Arizona seniors who struggle to find food for their next meal. 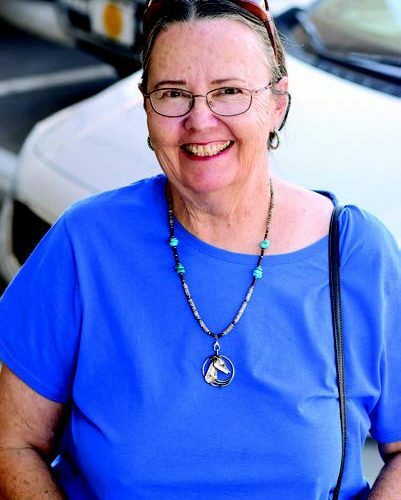 A lifelong Arizona resident, Cindy remembers the “good old days,” when she made a comfortable living as an artist. “I worked with sterling silver and stones,” she said, showing off a necklace that shone as bright as the day she’d crafted it. A few years back, calamity struck Cindy’s family. She was unloading her car for an art show when she felt her back give out. “I could barely stand,” Cindy said. “Even worse, my father fell ill soon after. I quit my art to care for my parents,’’ she added. Cindy’s father passed away, and now she cares for her disabled mother. Thankfully, your generosity means Cindy has a source for wholesome food, including fresh fruits and vegetables. “I once received the best watermelon I have ever eaten,” Cindy said. She shares the food with her mother, who is an excellent cook, and freezes any extra produce to save for later. Thank you for providing life-sustaining food for families like Cindy’s. Your support means the world to hungry Arizonans!